John Cooney and his Naples-based team are always a pleasure to work with. We highly recommend them to clients because of their attention to our client's specific requests and their professionalism. 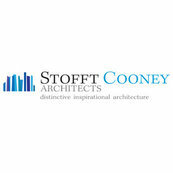 We have built and remodeled over 50 homes with Stofft Cooney Architects and the clients are some of the happiest, and the homes are some of our most recognized work around Southwest Florida.